The 22-year-old midfielder joins the Potters from Portuguese side Feirense for a fee of €7.2million. Gary Rowett, the new manager of Stoke City, described Etebo as an “energetic midfielder” and a great addition to the club. “We’re really excited to have got the deal over the line for Etebo,” Rowett said. “I’m looking forward to seeing him in a Stoke City shirt as I’m sure our supporters are too. 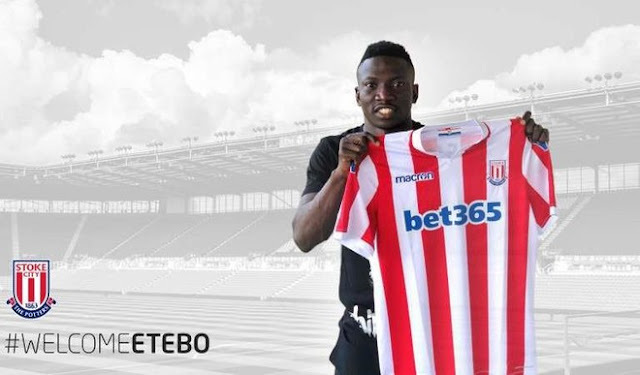 Tony Scholes, chief executive officer of the club, said: “We are delighted Etebo has chosen to join Stoke City, becoming our first signing of the summer. Etebo spent last season on loan with La Liga’s Las Palmas.